it’s playlist thursday on tuesday! it’s been a couple weeks since i posted a “what i’m listening to today…” blog post. as john cusack says in high fidelity, “the making of a great compilation tape, like breaking up, is hard to do and takes ages longer than it might seem. you gotta kick off with a killer, to grab attention. then you got to take it up a notch, but you don’t wanna blow your wad, so then you got to cool it off a notch. there are a lot of rules.” it’s hard to make a playlist quickly, but here is what i’ve whipped up for you today…this is what has been on heavy rotation on my iPod. blank slates can be exciting and overwhelming to a person who is not a professional interior designer such as myself. when we first moved into our home three years ago, the entire house was every shade of pink: rose, salmon, fuchsia…it was ugly folks! in fact, we almost didn’t look at it based off the way it showed online. thank god we did because now, i love our space. However, before moving, we knew that pink had to go. we hired a painter, picked a few random colors out of a swatch book and hoped for the best. the space we were moving into was much larger then our townhome, so it was rather empty on moving day. now, three years later, we finally feel we have a nicely edited space to call home that i’d like to share with you. the artwork in the front room seems to be a revolving door, but i think we finally have something solid that we both love, love, love. i found these photos by lani lee at FAME Chicago’s private opening. being a lover of all things mug shots, these photos really stood out for me. i had them framed at April’s Seven in Wicker Park, and let me tell you, Martin (the shop’s owner) did some really fantastic work. i was like a giddy little school girl when i first opened them up…oh, who am i kidding, i still am over the moon with this purchase! these puppies are seriously badass. the sofa is made by gus modern, and get this, i got it off of craigslist. find of the century! the coffee table and wooden box are also both vintage craigslist finds. the sofa came with a chair, but that is in a different room slated for a different blog post. the chairs were probably the most difficult purchase for me, and if i had it my way, i’d have a redo. i wanted authentic mcm furniture, but finding 2 matching chairs that i loved was taking too much time for me. i went online to south of urban and ordered 2 chairs with custom fabric swatches. this process at the time was convenient, but i really wish i would have found some fabu find with a story to tell. the floor lamp is from pottery barn, while the table lamp is from mod pieces. the side table is from room and board. 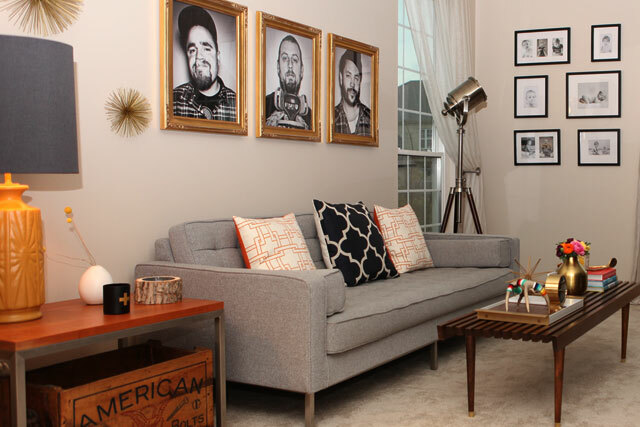 after we moved in, i started watching hgtv like a mad woman. i fell in love with emily henderson’s tv show secrets from a stylist. she is really great at breaking down a room and explaining how to create a well edited space. you may recall reading my nightstand post where i expressed my love for all things emily henderson. if we ever met, we would seriously be best friends forever and shopping buddies for life. the woman has great style, is a flea market guru, and cute as a button. 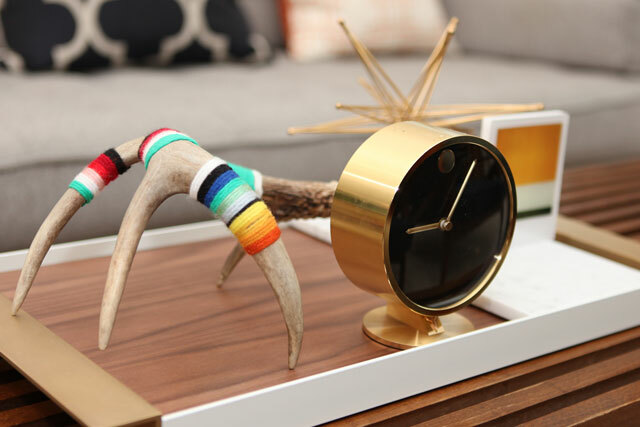 emily’s show taught me to wrangle my coffee table items onto a tray. i chose this one. i like the brass accent handles, wood and marble. the antlers are from yarn bombed antlers and the clock is vintage. 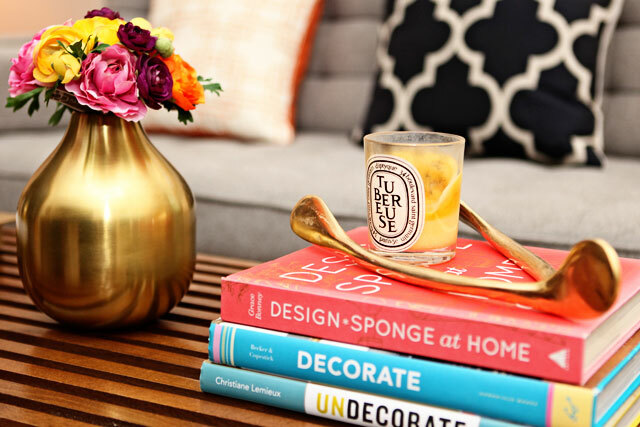 the vase is target by nate berkus that i randomly found on clearance for $4 while grocery shopping…total and complete score! and the wishbone is from jayson home and garden. so what do you guys think? 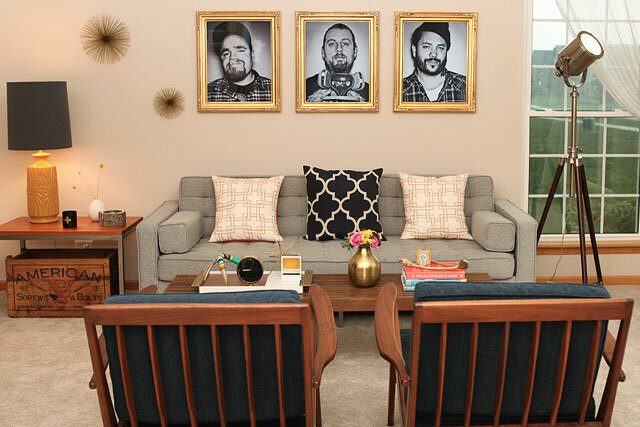 is it ready to be submitted to apartment therapy, or do i have a ways to go? i personally think it needs a bit more styling help, but i am just at a loss. maybe i just need to hire emily. all my styling problems will be solved and my bff dreams will come true. while pregnant with little maus, every morning i would waddle myself over to the loop juice counter in the french market. craving everything fresh and healthy, one day the owner asked me if i wanted to dip my toes into the green smoothie waters. i hesitated at first, but he assured me it wasn’t too earthy and suggested a couple chunks of mango to sweeten the deal. slowly drawing the straw to my lips, i was pleasantly surprised this crazy concoction did not taste like grass. in fact, it was quite delicious! my trips to loop juice became a morning ritual until 2 weeks before my due date i was told by my doctor that she was putting me on bedrest. i returned to work after almost 4 months of maternity leave and immediately started to feel overwhelmed with work life and daily life. trying to find balance after baby, i became run down, tired, cranky, forgetful and stressed to the max. my weight loss had plateaued, and i was down right frustrated with everything and everyone, including myself. a complete lifestyle change needed to be made and the only person that could make that change was me. not knowing where to start, i thought back to my morning walk to the french market. i needed to put breakfast back into my life. little did i know, this would be the (small) first step of many to my new healthier self. i dug through the cabinets, pulled out our old blender and added ingredients i thought would be yummy. plop, plop, plop into the cup it went…hmmm, this was a lot chunkier then expected. first sip was spit out immediately…yuckers! dear lord what was this garbage? it was completely awful! ok, family adventure to abt was in order! look out visa card, here comes a big fat charge for the fancy pants vitamix blender! let me tell ya folks, this thing churns out a chunk free smoothies like nobody’s business! seriously, this thing is amazing and super easy to clean. i was a bit reluctant since you cannot wash the vitamix in the dishwasher, but the sales woman taught me THE secret. rinse it out, fill with hot water, add a drop of dawn and blend. shiny and new in under 2 minutes! now you are in the know as well. 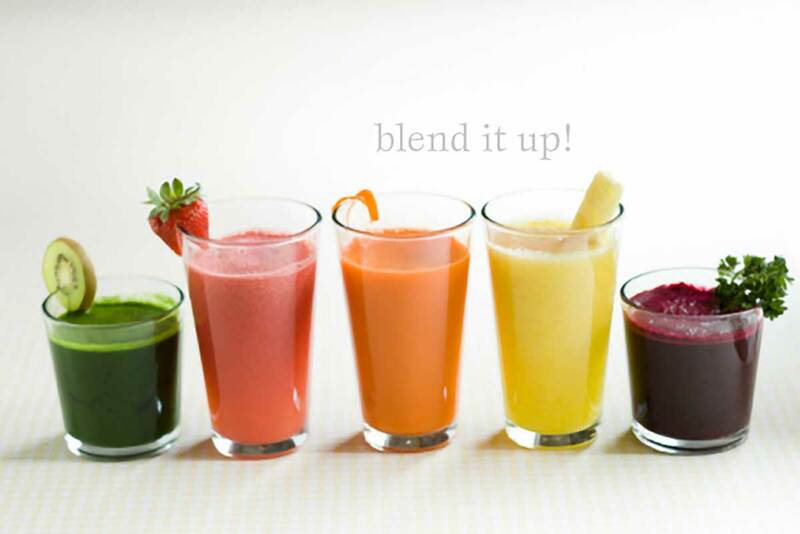 i’ve blended many different versions of the morning smoothie. the green monster seems to be the one i always come back to. even the boy has been requesting them…woah, that is a feat! 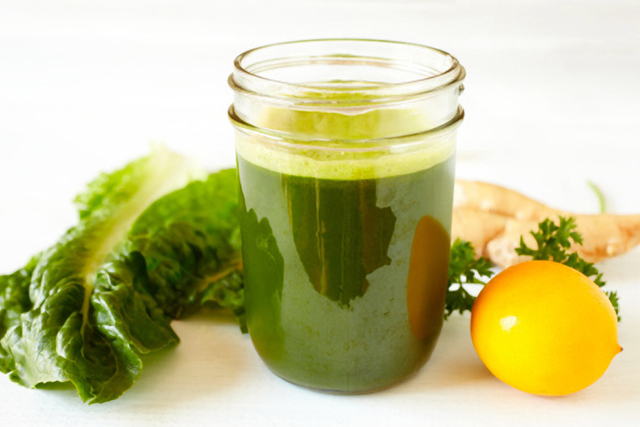 i’ve found it beneficial to add lemon juice to all of my green drinks, and always remove the stems from your kale…it will help with the bitterness. i’m not a big fan of banana but have managed just fine without them. recently i was told by my acupuncturist to add protein to my morning smoothies to cut down on 10am hunger attacks. i never have an exact recipe…i just eyeball it. here are some of my morning favorites. i’m by no means a professional photographer, but i do loves me some time behind the lens. my obsession first started way back when i worked for a furniture company. i was one of the lead designers and art directed every photo shoot. i worked with some great photographers who taught me how to light a set and how to work a DSLR. studios were just starting to change over from film and digital cameras were mega bucks. i went to spain and morocco and managed to coax my sister into letting me borrow her canon rebel film camera. 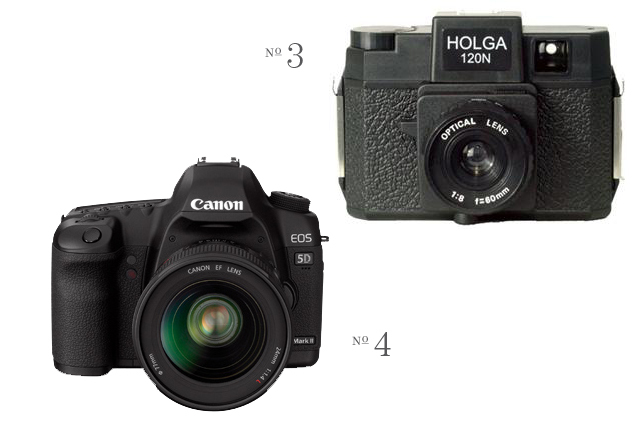 then i found the lomography company and stumbled upon the holga. who knew you could have a love affair with a $25 plastic boxy camera. i had to get a nicer camera of my own…sweet sister sold me hers. vintage cameras started to make their way into my home from flea markets, ebay, etsy, estate sales…one of my favorites is a flexerette vii i purchased in prague. even though i love everything about film, it wasn’t instant and locating a place to develop it was proving to be more and more difficult. i decided to breakdown and buy a DSLR. i reached out to my photographer friends and decided to dip my toes in digital waters with a canon 20D. 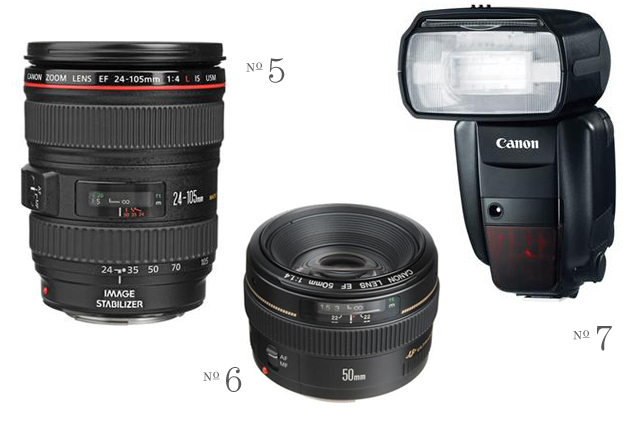 i chose to buy a cheaper body and throw more money at lenses. so i upgraded to the camera i have now…a canon markII 5D. man that camera is a dream. i love absolutely everything about it and try to carry it everywhere i go (along with my holga). 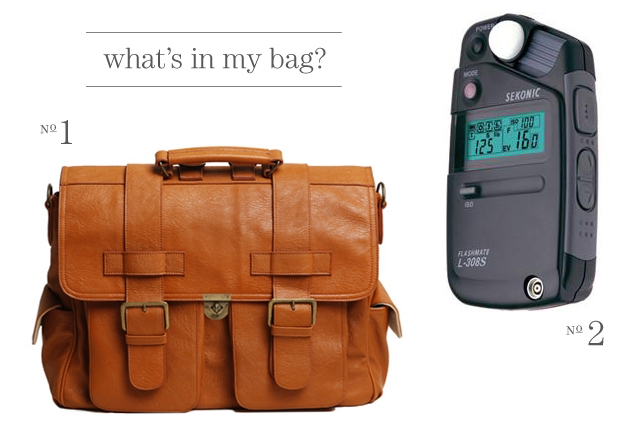 i’m always interested in what other photographers carry in their bags. speaking of bags…i must mention this, i’ve owned quite a few, but this epiphanie backback is my new love. it hold everything i need including my 17″ macbook pro. i also always have a small sketchbook, extra batteries and chargers. what’s in your bag? the little maus has recently discovered books, and she has a favorite that she always seems returns to. baby sees colors by karen katz seems to be one that intrigues her the most these days. she hands it (tosses it…watch your face!) at you and says, “bookie?” it’s incredibly adorable. initially, the first page — red — was her favorite; she always pointed at the strawberry. after a few days she figured out how to turn the page to yellow and was fascinated by the duck. her little plump finger pointing to it over and over again, tap, tap, tap on the page. grandma showed her the green dinosaur on the last page and roared a bit, but little maus was scared, so we covered him up. although she soon warmed up to the dino and now likes to find him and roar too, just like grandma. we have some other favorites in our household as well. the dude likes goodnight goodnight construction site, click clack moo: cows that type, little blue truck, and i love you stinky face. it makes me so happy to see the children discover reading. little maus can be entertained all afternoon with just her one favorite book, while the dude will chose book after book after book, completely enthralled. he loves the adventure and the excitement each story brings to his small world. and i must admit, it is one of my favorite times of the day…spending that quiet cuddle time with them, discovering by their sides.